We all hear about about the importance of reducing our stress levels, but would you actually be able to explain what’s happening in the body when dealing with chronic stress? 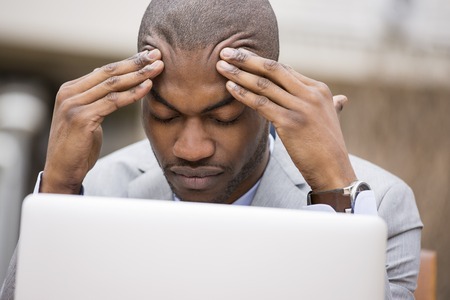 According to Statistics Canada, 1 in 4 workers describe their day-to-day lives as highly stressful.For many, financial stresses, the increased cost of living and hectic schedules are all contributing factors leading to chronic stress. While most people know being stressed out all the time isn’t a good thing, why exactly is it so bad and what’s happening when we feel this way? Sympathetic Nervous System – the ‘Fight or Flight’ response that helps us escape a perceived threat. Parasympathetic Nervous System – the ‘Rest and Digest’ response which makes us calm and relaxed. When the Sympathetic Nervous System is engaged, it’s like our foot is on the gas pedal helping us to pump out energy in order to escape a perceived threat. While at one point in time this response enabled us to quickly avoid a predator in the wild, today’s modern stressors are less acute and much more long-term. Family, work, financial, emotional, physical, long commutes, sedentary lifestyles and poor diets all contribute to low-grade stress that may persist for weeks, months and even years! People are often bombarded with stresses that they never seem to get any relief from – our bodies have the foot on the gas pedal of our stress response all the time. This begins to wreak havoc on our hormones and changes our blood, making it become stickier and more prone to blood clots. We also produce hormones such as renin and angiotensin which cause blood pressure and insulin resistance (a precursor to diabetes) to go up. Even our bad cholesterol (LDL) levels increase when we’re under stress. Adrenaline – this is a hormone produced by the adrenal glands. When adrenaline is excreted due to our ‘Fight or Flight’ (acute stress response), heart rate goes up, airways dilate and blood vessels constrict to allow more blood and oxygen to the muscles. This occurs in order to let us ‘escape’ a threat. Aldosterone – is a hormone absolutely essential to life – it regulates our electrolytes (sodium, potassium etc.) It’s secreted by the adrenal glands and allows for reabsorption of sodium into the blood stream. Sodium is important for keeping fluid inside and outside of cells, while playing a critical role in how nerves and muscles function. Cortisol – also produced by the adrenal glands, cortisol is needed in order to release sugar into the blood stream. Muscles are then able to utilize this sugar during the ‘Fight or Flight’ response in order to appropriately flee a stressful situation. Cortisol is also accompanied by the hormone DHEA (known as the ‘happy hormone.’) If cortisol levels are high, DHEA levels will be low. If DHEA levels are high, cortisol levels will be low. Cortisol should start off highest in the morning and gradually taper off as the day goes on so that we are able to unwind prior to sleep. Stomach ulcers and other digestive issues. A compromised hormonal system which leads to a wide variety of problems such as weight gain, blood sugar imbalances and mood disorders. In men, the hormone testosterone, (an anti-aging hormone) begins to decrease. In women, irregular menstrual cycles can occur. Loss of bone density and muscle, accelerated aging, increased risk of infections and cancer. Stress not only causes physical changes in the body, but also causes mental and emotional changes. Research shows that people under stress have something called ‘Cognitive Inhibition’ which refers to the mind’s inability to tune out irrelevant stimuli – in simple terms, we’re no longer able to focus on the task at hand! If HRV is low, the Autonomic Nervous System is less flexible – it indicates greater stress and lower resiliency. This places you at higher risk for a cardiac event. If HRV is high, lower levels of stress are detected and a person experiences greater resiliency. Basically, having a higher HRV allows you to perform and cope better with life’s stresses. The Sympathetic ‘fight or flight’ mode wastes energy and resources, while leading to lowered immunity and cognitive abilities. When people are not in ‘Fight or Flight’ mode, they achieve more cognitive flexibility and have the mental ability to switch between/think about multiple concepts simultaneously. This means switching out of the Sympathetic Nervous System mode can make you a better problem-solver, more innovative and increase your ability to perform better cognitively. Breathing – breathing controls our Autonomic Nervous System. When we take a breath in our heart rate goes up. When we exhale our heart rate goes down. When we breath in a cyclic, rhythmical way it stabilizes our autonomic nervous system and helps us to take the foot off the gas. Most people today breathe with only the upper third portion of the lungs without the use of the diaphragm and the transverse abdominal muscle which allows oxygen to the lower portions of the lungs. A great resource I recommend checking out is the Functional Patterns YouTube Channel which has some great videos specifically focused on breathing techniques. Yoga – yoga is not only great for joint mobility, but also for the nervous system. Yoga enhances relaxation and tones the parasympathetic nervous system. It also decreases the sympathetic nervous system response, allowing you to take your foot off the gas. On the Cardiac side, yoga lowers blood pressure, improves serum lipids, cholesterol and triglyceride levels. Essential Oils – potent plant extracts from various flowers, roots, bark and other plant components. These extracts have been used by cultures around the world for thousands of years given their therapeutic properties. Many essential oils contain relaxing constituents that can aid in reducing the effects of stress on the body – lavender, bergamot, ylang ylang, chamomile, cedarwood, marjoram and frankincense can all be great options. Meditation/Prayer – the skillful sustained applied use of attention, combined with proper breathing techniques can help to clear the mind and aid in relaxation, thus helping to reduce the sympathetic nervous system response. Nervous System Support – using herbs such as stinging nettle, skullcap, lemon balm and hawthorne can help to more quickly put you into a state of relaxation and support the nervous system during stressful periods. Drinking an herbal tea before bed to unwind can be extremely effective in reducing stress levels. Stress is clearly a complex issue that impacts many functions within the body and mind. While stress will never be eliminated entirely, it’s important to learn how to support the body through stressful periods in order to avoid becoming sick, run down and burnt out. To learn more, be sure to tune into Episode #4 of the Tipping Point Nutrition Podcast where we dive into the topic of stress even deeper. You can find it on iTunes, your regular podcast app or on your desktop, HERE.